The Carnival of Genealogy's Annual iGene Awards have returned - where Geneabloggers choose the Best of their Best posts from the past year in five categories: Best Comedy, Best Biography, Best Documentary, Best Screenplay, and Best Picture. The TransylvanianDutch chapter of the Academy of Genealogy and Family History has participated in all prior years, and will do so again. For those who are nostalgic, here were our selections in 2011, 2010, 2009, and 2008 from the prior year's posts. The rules define this as a photograph, but a video is made up of a series of stills. And some videos this is more true of than others. We know the winning video has very little to do (directly) with our family history, past or future, however, other aspects of this post swayed us in our selection. Wordless Wednesday - Tel Aviv hotels, and postage stamps - 1944 was also nominated. This post contained scanned images of several Tel Aviv business cards and postage stamps from the 1940s. The war-time souvenirs were from my maternal grandfather's collection. Readers may point out that some of these posts were prior to 2011, however, it seems appropriate that the series of posts win an award for the year of completion. I've indicated the year of each post below, and five of them were in 2011. Casting: The Dawes Commission judges made a point that none of those testifying 'looked Choctaw." However, I have no photographs of any of them, except my great grandfather, Melvin Elijah Van Every. For Samuel's four daughters: Sophronia, Virginia, Georgia, and Caroline, I'd like to cast Drew Barrymore, Natalie Portman, Mayim Bialik, and Soleil Moon Frye. Don't ask me why, but I think they'd make excellent sisters. Perhaps Leo DiCaprio could play the role of my great grandfather, and Macaulay Culkin could be Robert Hartley. Jewel Staite can complete the main cast members as Eliza Foster Reeves. For Best Documentary, the winner is: Civilian Occupation Codes: What's Going On? This series of posts began with the discovery that Ancestry had changed the occupation for my great uncle on his Army Enlistment record, sometime after 2007 when I first obtained the record. I conducted some research, and realized several other members of my family had had their occupations changed. I identified the cause: Two different lists of Occupation Codes. In my final post, I linked to the report from the National Archives indicating that the original Occupation Codes were in error. It was dated in 2005, two years prior to when I initially obtained the records from Ancestry. I still don't know when Ancestry updated their records. Also receiving a nomination is: 1942 Tax Returns - a post where I looked at my grandparents' tax returns and calculated how salaries, and deductions compared to today. Judson Van Every - Manchester Journal - 1902 - 1910 and Judson Van Every - Manchester Journal - 1915-1917. These two posts contained newspaper clippings from the Manchester Journal (OK) concerning my great grandfather's brother, Judson Van Every. The clippings reveal a lot about the 15 years of his life. This ends the awards for the five main categories. However, in 2010 and 2011 I added a category where I present awards to show my gratitude to other Genea-Bloggers who commented upon, or in some other way responded to an entry, providing me with more information on my family. This year this award goes to a blogger whose post spurred me to conduct some research for which I am grateful. Philip of Blood and Frogs back in April posted a primer on finding and ordering US Naturalization Records. While I already had the Declarations of Intent for most of my immigrant ancestors who arrived recently enough, I realized there were several other documents of which the National Archives might have copies. The process led to the Naturalization Petition for Salomon Deutsch - my great grandfather - and the first name of his first daughter who remained in Transylvania, and likely died in the Holocaust. The process also led to the Naturalization Petition for Barnet Newmark - another great grandfather - and a date for his arrival in St. Louis. This week I transcribe a New York Times article from September 15, 1899 concerning demonstrations in London. My Newmark ancestors were in London at the time, but I don't know if they were present at the demonstrations. The controversy over the new Martin Luther King, Jr. monument may serve as a reminder to genealogists, that just because something is inscribed in stone, doesn't make it accurate. The January 2012 Library of Congress Digital Preservation Newsletter can be downloaded. Megan Smolenyak2 at The Huffington Post covers the celebrity genealogy offerings of NBC and PBS this spring, listing all 32 celebs participating. I believe Kyra Sedgwick, who will be on PBS's "Finding Your Roots" is a distant cousin of mine through shared Stoughton ancestry, though I have no clue whether that branch of her tree will be mentioned. Alan Stewart at Grow Your Own Family Tree discusses Ancestry UK's launch of Parish pages. In two separate posts, Dear Myrtle compares the ease/difficulty of finding the same record on FamilySearch and Scotland's People. Police - using Y Surname DNA test - have discovered the probable last name of a culprit. (Of course, over almost 400 years, name changes, and illegitimacy happens.) Blaine Bettinger at The Genetic Genealogist discusses the case and ethical concerns of using DNA for this purpose. In the world of Social Networking, the big news this week is Google's adding of Google+ posts to their search results. Levi Sumagaysay at Good Morning Silicon Valley covers the aftermath. Missy Corley at Bayside Blog discusses When Even Vital Records Can't Be Trusted, reminding us that if the person providing the information on the document didn't know or couldn't remember the correct information, the document will be wrong. The Ancestry Insider reminds us that some census enumerators were lazy... and raises a disturbing question about why they are unable to find the same document at FamilySearch. 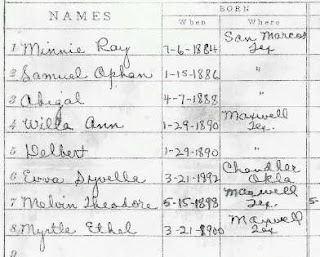 Cynthia at ChicagoGenealogy takes a closer look at the Chicago Lying-in Hospital birth records. Michael John Neill at Genealogy Tip of the Day reminds us January 1st was not always the start of the year. James Tanner at Genealogy's Star highlights some Genealogical Myths and Fallacies. Some may see a connection to genealogy in Fred Clark's post at The Slacktivist on Three Kinds of Falsehoods: Innocence, Interest, and Intrigue. The National Archives has posted several interesting historical documents this week to their Document of the Day feed. Henry Louis Gates, Jr. is returning to PBS with a 10-part series entitled Finding Your Roots. Scientists create monster super-soldier ants by activating ancestral genes. The 113th Carnival of Genealogy has been released at CreativeGene. The theme was A Dickens' Christmas. The theme for the 114th edition will be The Fifth Annual iGene Awards. For more information, read here. This week I discovered Michael Twitty's Afroculinaria. While his focus is the culinary traditions of Africa, he has started a series he entitles: The Cooking Gene. From his bio: "I am a Judaics teacher and Culinary Historian focusing on the foodways of Africa, enslaved African Americans, African America and the African and Jewish diasporas." The Black Swan Fallacy is taught in college logic courses. 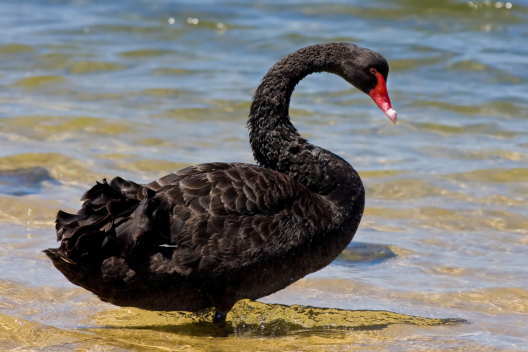 "I've never seen a black swan," the logic goes, "so black swans don't exist." The logic is obviously absurd. No one has the opportunity to personally examine the color of every swan on the planet. That doesn't stop us from accidentally falling into this logical trap. We may be very familiar with American swans, for example, and think our experience is sufficient. But black swans actually exist in Australia, if not elsewhere. In genealogy we run across this fallacy when we assume something didn't happen, because we haven't seen the evidence for it. I'll use an example from my family history. Fact 3: in 1900, in front of the Dawes Commission, Melvin Van Every testifies that his mother-in-law, Sarah (Hartley) (Denyer) Foster, was living with them in 1898 when she died. Fact 4: The eldest child above has written notes indicating they only remained in Oklahoma briefly - between December of 1891 and Spring of 1892. 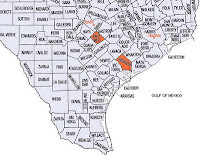 Most genealogists would look for records of the death of a Sarah Foster in Caldwell County, Texas. Due to the scarcity of death records in 1898, there would probably be little effort made looking elsewhere when they weren't found. Maybe you'd look in neighboring counties. However, if we catch ourselves stating with certainty that she died in Caldwell County, we have fallen for the Black Swan fallacy. We may have found no evidence to the contrary, but we don't have proof. The Genealogical Proof Standard includes a "reasonably exhaustive search." Though we must remember reasonably exhaustive will still miss records. And truly exhaustive is next to impossible. I was lucky, and a young Minnie Van Every wrote letters to The Houston Post between 1897 and 1899 (age 13-15). She signed her name with the town she was writing from, so I know in November 1897 they traveled to Ganado, Jackson County, Texas, and if the Family Record is correct, they returned to Caldwell County prior to May 1898. I now believe that Sarah Foster lived in Jackson County, and the Van Everys spent a year living with her. (Perhaps she was ill, so when she died, they returned to Caldwell. However, this is an unproven hypothesis.) 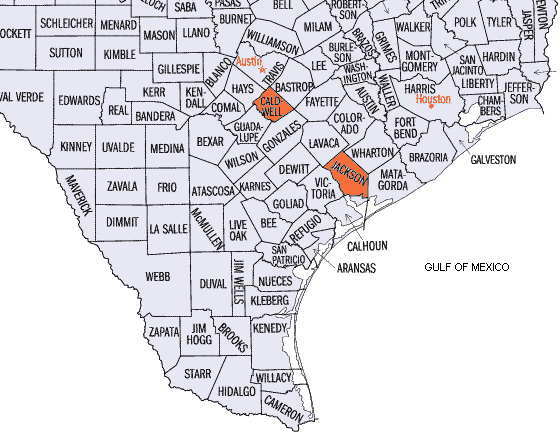 In the above map of counties in Southeastern Texas, I've colored in Caldwell and Jackson. They are near each other, but probably not near enough that I would ever consider searching in Jackson if it weren't for those letters Minnie Van Every wrote. There were enough missing years in the example above to raise some suspicion. How about this for an example? She moved around a lot, but she remained in St. Louis. She doesn't appear in the 1929 directory, but not appearing in a particular directory isn't uncommon. I can imagine many genealogists, of varying experience levels, stating as fact that she lived in St. Louis continually from 1921 to 1930, citing the St. Louis City Directories and the 1930 census as evidence. Unfortunately, it's not true. In April of 1927 she was married in Oakland, California. In October of 1927 they divorced, and Myrtle returned to St. Louis. She didn't miss appearing in the 1927 directory. She appeared in the 1928 directory under her maiden name, and her married name. And she did appear in the 1929 directory, but only under her married name. She returned to her maiden name by the census in 1930. Since she worked for the US Postal Service, I was able to obtain her personnel records, which indicated her name change, but said nothing about geographical relocation. Her brief husband was born in Illinois. not too far from St. Louis. I'd have had absolutely no reason to conduct any research in California. Once again, I was lucky, and my grandmother saved her divorce papers, which I found in a box of her effects after obtaining her personnel records. Each document we uncover is but a snapshot in time. Adding more snapshots increases our knowledge, but we need to beware of Black Swans nesting in our genealogical assumptions and conclusions. This week I transcribe a letter my grandfather wrote home from World War II, January 1, 1944.